How Much Does Social Media Influence Play A Role In SEO And Keyword Rankings? If there’s one thing I’ve learned over the past 10 years performing and consulting for SEO projects, it’s the fact that SEO ranking factors are always changing. While that’s so true, the more things change, the more they stay the same. We’ve seen some SEO ranking metrics stand the test of time, such as backlinks and publishing high quality content. In the same breath, we’ve seen design, user metrics evolve to add more weight to your SEO value. But what about social media influence? How much does social media influence play a role in SEO and keyword rankings? The truth may just surprise you. Is social media signals enough to take a 10th page SEO rank to the first page of Google? The answer is yes. Truckers Logic is a platform that delivers useful topics to truck drivers. Naturally, the keyword “deaf truck drivers” would be a term they wanted to rank for. While they did target the keyword, it was never higher than 6th-7th page. That changed when the article went viral for a few days. Once the article caught fire on Facebook, it went straight to page one, position one. As you can see now, the page has over 7K Facebook signals. 2.4K when the page first appeared on the top spot of page one. While we see so many people say Google+ is the top social media signal, our case studies and experience tells us Facebook is. We’ve seen Google+ carry weight but off and on. 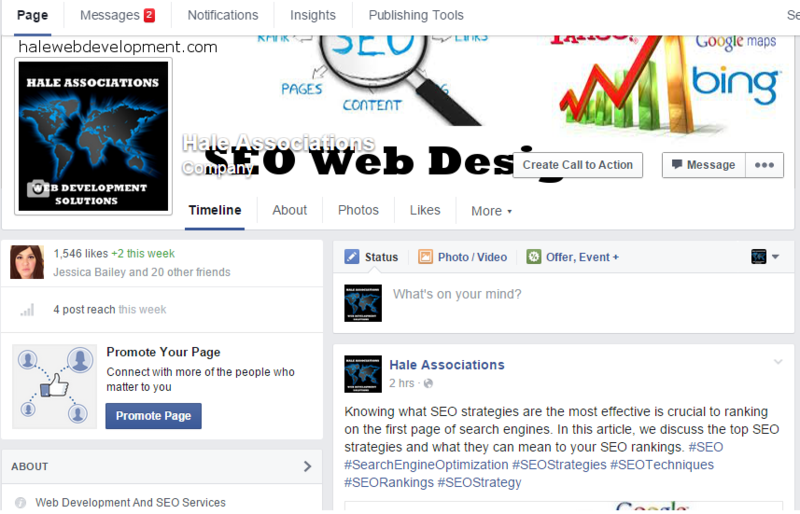 Facebook remains consistent and most certainly the social signals you want to push to increase SEO rankings. My team and I work on a variety of different SEO projects over the past year. From hands-on SEO strategies to search engine optimization consulting, we’ve worked at every end of the spectrum. I’ve seen social media influence peak and I’ve seen it fall. With our case study, it’s important to note that the domain had decent web metrics. At the time, it had a 22DA. Over 23,000 backlinks. So we know that if website A has more backlinks and authority, social media influence is going to be higher. That’s probably more natural than influenced, but worth noting. Going back to the information in that article, we find that 7 out of the top 10 SEO ranking factors were related to social media influence. 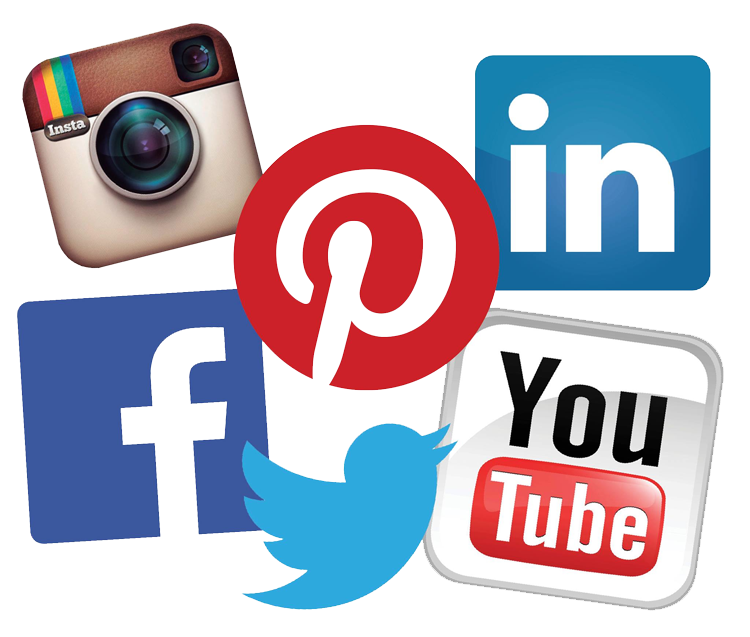 4 social media platforms that drive results are Facebook, Twitter, Pinterest and Google+. I believe LinkedIn will certainly be included in 2016. The company is taking a great approach that I feel Google likes. LinkedIn has become a publisher and you’re hearing it now, in 2016, LinkedIn will have something to say about that as they try to become part of the big 5. But right now, Facebook, Twitter, Google+ and Pinterest are the four social media platforms that play a role in your SEO efforts. Why is Google giving social media such an impact on SEO and organic results? I have a theory. I think it all relates to another major SEO ranking factor, “backlinks.” For years, backlinks have been a ranking factor for SEO. Not just a notch in the algorithm, we’re talking about a major contributor to how your website ranks in Google’s search engine results. Think about this, backlinks are often very questionable, they are no longer a trusted ranking factor due to spam and link building strategies. Does backlinks still have major SEO weight? Absolutely, but we’re seeing backlinks play less of a role in SEO and we’re seeing social media influence and social media signals reigning supreme over backlinks. There’s one major reason why social media influence is ranking above backlinks, “trust.” Social media influence is more authentic. If a webpage is being shared thousands of times, Google knows that the content is likely good. Before, Google would look at the backlinks to that domain. Now, social media signals can be enough to pull first page ranks in Google depending on the level of competition for the keywords associated to the page. But no matter what market you’re in or what type of niche you operate, social media signals is a strong ranking factor for your search engine optimization. See, it’s much easier to get a backlink than to fake a social media share, like or tweet. Backlinks can be created on autopilot with the right software. But social media signals are often authentic and a much higher trust rating than backlinks. Authority backlinks are still important, so don’t get me wrong. Backlinks are still a strong ranking factor, but social media is pushing ahead because for the most part, Google can trust the data given. I thought carefully about this, but I feel confident that this is fair enough to say, Google favors social media as a ranking system. In SEO, we’re taught that backlinks were like a rating system. Popular content gets backlinks, these backlinks are like a positive vote for a website. Think about it, if you’re publishing content on your website, do you link to just anyone? Perhaps back a few years ago, but now? You don’t. Unless, you know the link you’re sending is going to a trusted website. Why? Well, if you link to bad websites, sites that Google view as spam, it can hurt your rankings. And this still holds true today, you can’t link to just anyone. The subject of link building, we can go on and on for days. But we’ll leave that for another article. Now, SEO 2015, we’re seeing social media signals as votes of trust. Why? Because we just don’t share anything, unless we’re marketing for someone. We only share things we like, things we find an interest in, articles that we feel connected with. We’re not the only ones that know that, Google does too. And due to this, Google can measure a large percentage of the quality of any given webpage by social media metrics alone. This is due to the fact that Google views social media influence as a heavy weight SEO ranking factor. For those of you that have played your hand in social media marketing, you likely have some insight into how social marketing works or doesn’t work. And keep in mind, every social media platform is different, markets are different, there’s no one approach or solution to successfully making a webpage go viral. There’s a lot of strategy and techniques that go into the process of marketing on social media. But none the less, there’s a lot that is in your control and you can make your website successful on social media. And in return, you get that extra SEO benefit. If you’re selling a product or service, you just can’t approach your social media platforms expecting people to buy. It doesn’t work. You have to build your social media platforms and following with real authentic users. Put yourself in the shoes of your customer. Let’s take Facebook for example. When you get on Facebook, are you looking to go shopping? While some of you may be thinking “or course I do,” the majority of people don’t visit Facebook to buy. Yet, Facebook is full of potential prospects in all markets, age groups, classes. The key is turning a non-buyer into a prospect, lead or sale. Again, think about how you use Facebook. How many times have you been looking through your Facebook feed and see something that catches you eye, catches your attention? This is where we make our living. Your content has to be interesting enough to capture the attention. Once you have them, you can control where they go, send them to a offer, a product, or landing page. What ever it’s you do. But the hardest part is the first step, getting that click, gaining the attention of another. What about emotions? We’re taught in marketing that emotions do play a role in the buying process. Those who promote on social media successfully knows this. So in the end, there’s a lot of different ways that you can see success in your social media marketing efforts. Companies have seen great results with polls, free giveaways, engaging content and other techniques. The key is finding what works. And in turn with SEO, you want to make sure you use your hashtags. You should be using the same keywords you want to rank for in your hashtags. If you don’t have social media sharing buttons on your website, the time is now to add them. This is going to give customers the opportunity to share your content. If you’re on WordPress, there’s a ton of great social media plugins that can give you these features. Make sure you make a genuine effort on all of your social media accounts. If you’re an active reader to my blog or have read other articles onsite, you may have read me talking about one of the biggest mistakes I made in social media marketing. I failed to make real connections to others. I failed big when I first started my career in SEO and Web Development years ago. Connecting with authority social accounts and influencers is very important. Building last-longing relationships is important to anyone trying to grow and develop a name or brand. For those that truly don’t understand SEO, search engine optimization alone will not get you where you need to be. Can you see good results from our SEO efforts? Sure. However, it takes a total effort of all online development phases to see a high level of success online. Working both SEO and SMM is a good start to achieving maximum results. Social media and SEO work together, and the better you understand that relationship, the better off you’ll be. If you want to see the best results in terms of both SEO and social media, the two have to work together. It doesn’t matter if you want to choose one or the other, you now need them both. And as we’re quickly approaching 2016, don’t be surprised if social media influence, signals and engagement have more value as a SEO rank factor. I just can’t see why anyone would not want the added value of SEO and SMM working together. Lastly, it’s so important that you respond to your engagement. Look for genuine conversations. Try to answer questions in a reasonable time. Treat your social media as a form of your customer service. You ALWAYS want to keep customers happy, so do make that effort. There’s a lot of great tools out there to help you with your social media marketing. I’m not referring to a tool to help you post, but rather a tool or SMM software that allows you to know engagement, social signals, social media mentions and so on. This is for those of you that want to make a serious effort on social media. Take the time to do your research and find the needed tools and software within your budget. You won’t regret it. It’s a new year, depending on when you’re reading this. Yet, we know SEO is always evolving and changing. As we continue to see changes in search engines, our Research & Development department at Hale Associations is always out there in action testing, optimizing and analyzing. What can we tell you about SEO in 2017? What can you expect? What are the most important SEO strategies and techniques? If you’re a business owner, an executive, webmaster or blogger, you’ve likely heard of SEO. If not, you may want to read What Is SEO. It’s a common strategy that everyone needs to know to achieve organic results, keyword rankings and organic traffic. 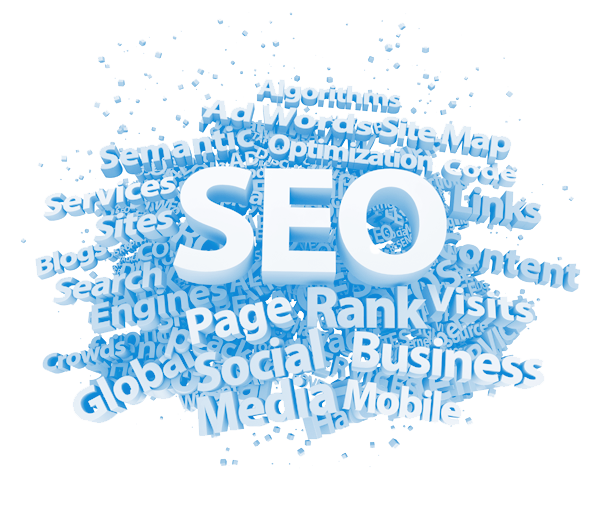 SEO, also known as search engine optimization, is a broad subject. We can spend months on SEO and still not cover every area. For now though, we’re going to discuss successful SEO strategies that are proven to work. In total, there’s thought to be over 200 different SEO ranking factors. You’ve likely seen these SEO guides listing over 200 actionable SEO tactics, but who has time for that? I know I don’t and I know you don’t need to worry about all of them. In fact, you don’t need to worry about 100 of them, nor 50. Metadata, particularly meta descriptions are now more important than ever. I’m referring to the meta description you use in your metadata for any specific page or post. Your meta descriptions need to be optimized for SEO, but also enticing to be click on in search results. A low CTR can de-rank your ranking keywords and pages. The meta description needs to include the targeted ranking keyword in the paragraph(s) as well as being valuable and engaging to the user. After all, we can rank as high as we want, if our description is boring, you’ll find users skipping your listing. Proven, a low CTR will lower your keyword ranking. However, if you’ve worked with SEO long enough, you have a good general idea to what works and what doesn’t. SEO has been around for years though and through SEO case studies and working SEO strategies over the years, we’ve been able to learn what SEO techniques work and which work the best. If you happen to be a SEO, always keep your data. Record everything. I was fortunate enough to do so. I don’t publish many case studies, but having past data, analytics and results to go back on is always helpful. Especially when you begin working niche SEO and market SEO. 2017 SEO ranking factors have changed from the previous year, they often do. Not really in terms of technique but rather importance. So you certainly want to pay attention to these successful SEO strategies that we’ve used with great results. If you follow them through, you’re going to see improvement and growth. Social media influence, social media signals, social media mentions, all of these are playing a role in SEO rankings. Focus on building engagement on ranking pages, pages you want to rank and your social media profiles. Make sure all of your profiles link back to your website. Get people to engage with your social properties, this should be your goal in 2017. Make sure you’re using hashtags, ideally these would be your keywords. Make sure you’re using keyword variations, don’t just focus on the same old hashtags. Bringing in new hashtags will help you reach new users. Lastly, make sure you’re sharing your ranking pages consistently. Want to learn more about how you can make social media work for your business. Read my guide to social media marketing. Backlinks have been the most important SEO strategy for years and 2017 will be no different. While backlink and link building strategies have changes, referring domains are still your top target. First, how about we look at the backlink myths so you know what’s really working in link building and what is not. How many times have you heard this? While relevance is important to an extent, this claim is false. Google knows websites have different purposes when it comes to linking to one another. While it makes sense for a marketing website to link to another marketing website, that’s not always the case. It’s normal for websites to link to other websites that are not closely related. Here’s another link building myth, SEOs saying you need exact match anchors to rank first page. Sure, you’re going to have one or two exact match keywords, but don’t focus on only that unless you want a penalty. What you need is a good mix of backlinks, using multiple anchor text variations with your targeted keywords. If you don’t have backlink software, I would suggest getting one. Ahrefs.com is one of the top tier backlink and link tools out there. Yes, this is a paid backlink tool but well worth the investment. It allows you to see the value of links pointing to your website. Why is important to know the value of a backlink? Backlinks that have high value passes a majority of that value to your website, depending on if the link is a dofollow link or nofollow link. Dofollow links pass along the value of the referring website while nofollow links don’t. Even though nofollow links pass no value from the linking website, they still carry a little SEO value. Ahrefs’ software tells you which links are dofollow and which are nofollow. Internal links are still vital to achieving high search engine rankings. The number of internal links varies and I’ll include outgoing links also. Usually, you want to start with a few internal links to your most relevant pages. You also want to add an outgoing backlink or two. Internal links play many roles, so correctly utilizing them is very important. Your visitors should have no questions about where to go on your website. If they find navigating your website difficult, you’re going to lose leads, sales, subscribers, what ever your trying to accomplish. Your site navigation should be clear. In the same token, you should be building internal links with your targeted keywords. You want to make sure all your internal links are relative to the content. Internal links are also a great way to build organic search queries, which can be tracked by Google Webmaster Tools, now known as Google Search Console. There’s a number of different analysis on link building. You see so many articles online telling you this and that, it can be tough to know which link building strategies do work. Through link building case studies, we know that having a natural and diverse link profile is the best strategy. Having a good mixture of branded links, branded links with keywords, exact match keywords and URL links is needed to obtain the highest possible SEO rankings. Where you place keywords in your website matters. Best SEO practices, we’re told to include keywords at the main beginning of our titles. 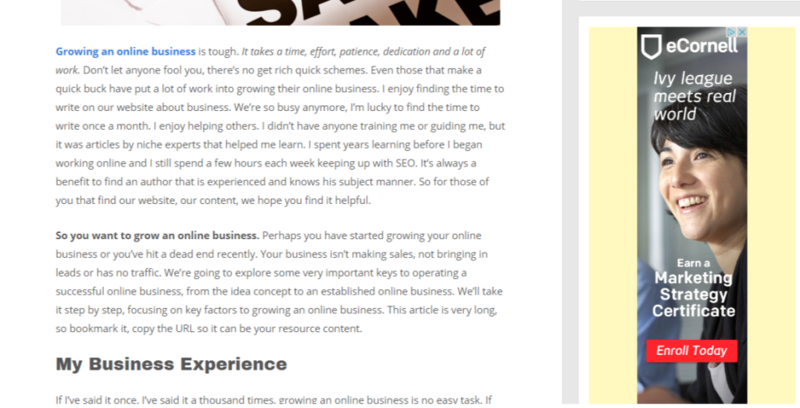 It’s also best practice to list your keyword in the first paragraph of the article. All links have weight, so using your main target keywords in your main navigation menu (first level) can influence keyword rankings. Keyword density (from what we’ve tested) should be around 1-2 percent, which means 1-2 times per 100 words. Backlinks are the most important SEO ranking factor, believe it. Your ability to build relationships for backlinks is going to be critical. Take it from me, we don’t build backlinks first, we build relationships first. Go out and begin connecting with industry leaders and influencers. Your objective is to help them, what you must become is a valuable asset. Once the relationship is built, then you can approach them for backlinks, not a second before. Unless you want the low valued backlinks that will give you minimal results at best, you need strong, powerful links. You need authority backlinks to your domain from domains that are trusted by Google. Start your outreach campaign today, right now, that’s how important it is. Take the time to meet people, build genuine relationships, don’t just do it for the backlinks. We all need them, most people understand that, but they will be more willing to link to you if they know you. Common sense. Knowing how to structure content for SEO is important. Another techniques that we include in our SEO strategies is proper heading tags, H1-H6 tags. While your H5-H6 tags can be overated, your H1-H4 are important to proper SEO content structure. It’s important to note that your page’s title often counts for your H1 heading and you only need one main heading or title. In your content, you should start with your H2 and H3 tags. I know what some of you may be thinking, how do I use all these tags when they have different sizes and make my content look terrible? You can change the size of your headings/titles and subheadings/subtitles. You’ll need to do this with your source code. If you’re on WordPress, your theme if you chose to go with one may have options to change the text sizes. The structure of your content and the elements added to your pages play a vital role in how a specific page is valued and keywords ranked. If you ever can find time, take a few minutes to look at the top ranking pages for competitive keywords. Review those pages and check out the different elements that are on those pages. This will give you a general idea of what can add high value to increase page authority and keyword rankings on that page. Images are one of those elements that can be added to increase the SEO value of your pages. Search engines can’t see pictures at this time, so they rely on alt image text. This is an area that can be used to store a keyword that describes the picture. If you’re not using the alt image tag on images, we suggest you do immediately. Videos are another element that can add SEO value to an article. Audio files is another. The more you add, the better chance you give your page and keywords to rank. We’re quickly heading into 2016 and from a few recent SEO case studies, I can say keyword density is still important to ranking a specific keyword. If your keyword pages aren’t ranking, you may need to add more keywords to your article. You’ve likely heard of keyword density before, ranging from 1 percent up to 8 percent. From my experience, you want to be on the upper spectrum of that range. At least 4-5 percent. I can’t count the number of clients we bring on that have published multiple pages targeting the same keyword. Never do this, never target the same main SEO keyword more than once. 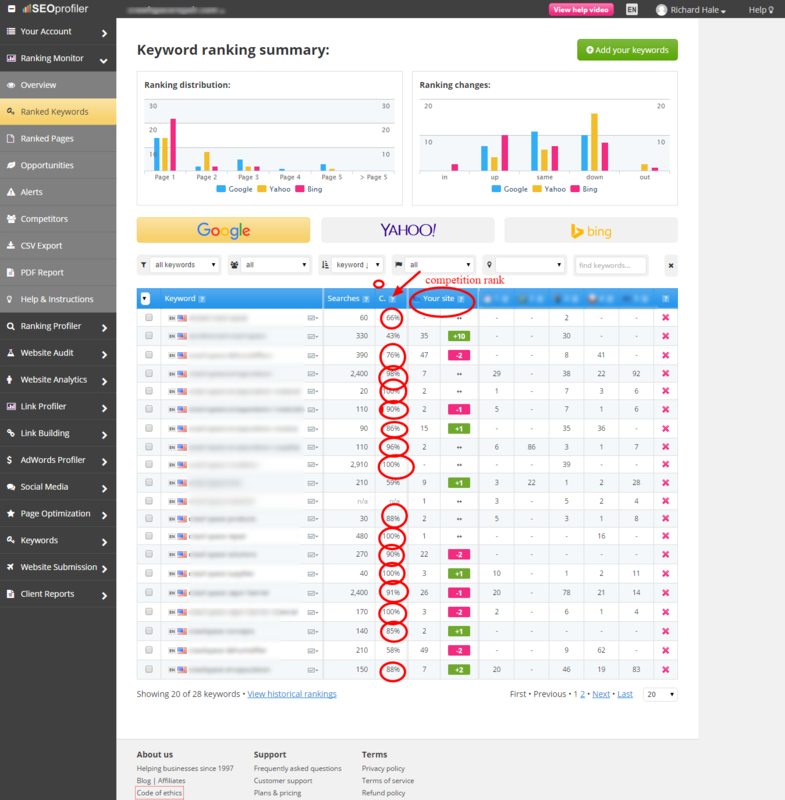 This is a common mistake and you’re left with your own pages fighting to rank for the keyword. Honestly, you may be better off keeping the best performing article or best written article, deleting the others. You don’t need 50 pages on “SEO Strategies” to rank for the keyword. Likely, you’re not ranking now because your pages battle one another for ranking. Only target one main keyword per page. Open an Excel spreadsheet. Document the URL and the potential keyword ranking. Keep track of this and make sure you don’t target the same main keyword twice. It’s ok to use that keyword in other articles. but not as the main SEO keyword. Content is still king of SEO and maybe more so now than ever before. It’s getting harder to rank for keywords, competition is at all-time highs and always growing. How can your website stay competitive against industry giants? I know how, great content! Your content can take you from the valley to the mountain top but only if it’s great. Content that has 2,000 or more words has been proven to rank higher in Google. Your content should be very informative, organized well and it should serve a purpose. Content without a purpose is often a waste of time. It should contain several images that are related to the topic. It should contain relative internal links to add value to the user. All of these are important. And enough with the 100-200 articles. At the least, you should be pushing for 2,000 words or more to rank for competitive keywords. In most cases, the content that is more informative and longer in length have the biggest upside when search engines consider where to rank your page. The proven SEO strategies above not only work but are quite effective in helping you achieve high search engine rankings. It all starts with great content. And after you publish that content, it’s all about backlinks. Great content and authority backlinks are big SEO components and enough to take your business to new levels. It’s not easy though, there’s great effort that goes into writing quality content and building relationships. But if you do, you will see SEO results, I guarantee you that. Is there really one SEO strategy that can do it all? One powerful SEO tactic to get the results you seek? Search engine optimization is a term that is known by all of the top brands in the world, nearly all of the middle sized companies around the globe and continues to grow through small business. SEO is extremely valuable to any company or business. This is why some of the biggest brands in the world spend upward of a million dollars a year or more on SEO. Online competition is fierce when you crunch the numbers. Trillions of websites competing for ten spots on the first page and a few million valuable keywords. How can your business or website ever compete? Especially against the top heavy SEO budgets of the world? And with each passing day, the competition continues to grow. Why Google, Yahoo and Bing differ when it comes to SEO, all 3 of these major search engines have one thing in common. All 3 give you a fair share to get a piece of the pie. I don’t have the time to grow my own website like I wish I could. But when I write articles, I can say I try to make it useful, informative and accurate. Sure, I want others to know I’m an expert in SEO and marketing. I believe we all want to showcase our talents and abilities. When my article above landed in the top 3 of the first page for SEO ranking factors 2015, it was an honor. To be even considered with the top SEO companies and SEO experts is big for me. Ranking side by side with industry giants like Moz and Search Metrics, it was a big win for me. This is the same way many small businesses feel when trying to compete against big companies that have huge SEO budgets. I’ve been blessed to work with some of the top companies in the world. But as a small business competing in a huge market, I understand how small business owners feel. It’s very tough. Around 70 percent of our clients have worked with SEO in the past and failed. Most small business owners don’t understand SEO and people take advantage of that fact. By the time they get to us, they hate SEOs and everything it represents. Needless to say and rightfully so, they’re mad. They have tried many things and failed. SEO is always changing, and what works today didn’t work a year ago, so you have to keep up with how search engines change. Google is the largest search engine in the world. Bing and Yahoo together don’t make up half the search volume Google has. Google owns nearly 70 percent of all search results. More importantly, in terms of SEO, Google has different rules than the other two. Since Google controls much of the landscape, most us suggest performing in Google, following Google’s SEO policies and guidelines. There’s a lot of different SEO strategies and techniques that can be used to improve your SEO rankings. SEO alone has been successful before, SEO with marketing has been successful. Many SEOs feel that there’s over 200 different SEO ranking factors in total. There’s a number of case studies that have shown great success with these techniques. But out of all these different SEO tactics and techniques, one has proved to be extremely successful over and over again. What’s the most effective SEO technique? Content. Are you serious Ricky? All this lead into the most effective SEO technique in the world and you say content? Yes, I said content. But not just content. Not just any content. I’m talking about GREAT CONTENT. Difference? You bet. There’s actually a huge difference and once you hear me out, I GUARANTEE you walk away with the ability to rank your content first page in most markets. And you can get it to the first page in competitive markets if you learn how to add value and SEO rankings to any page. My goal here today is to not tell you what tens of thousands have told you before. Which is “content is king” and “content” is one of the top SEO techniques. You likely know this and the rest of this article, along with your time, would be a big waste of time, right? I’m here to teach you how to write great content and change your perspective on content in general. And if you follow and take it all in, you’re going to see SEO success. Domain authority and backlinks are two crucial ranking metrics for SEO and your keywords. Domain authority is a web metric by Moz that is very accurate at analyzing the value of your website. It’s a scale from 0-100 with 0 being the lowest and 100 being the highest. I’m not referring to monetary value but SEO value. The higher you can build domain authority to your website, the more value that is passed to your entire website. Backlinks have been a long-time ranking metric for SEO. Backlinks can help you build domain authority, the two work together hand in hand. If a few high authority websites link to your website, you’ll see your domain authority grow. In return, you’ll also be able to increase your SEO rankings. I don’t know how you feel about link building, but you do take risk by building links. For those of you that worry about the risk, with great content, you don’t have to worry. I know it’s easy to say that, but be sure to hear me out. You hear that high quality content is the way to go. You hear that content is king of SEO. You write content again, and again, and again but see very little value for your efforts. Perhaps you write good content, you may even classify it as great content, but is it? Have you been writing for weeks, months, a year or more still to see no success? If this sounds like you, you’re not alone. You may even be surprised that what you thought was great isn’t. I’m not downgrading your writing service or your personal writing. But if you’re not writing great content, you’re wasting time, money, effort and resources. You’ve heard of great content, but what is it? I had the same issue and complications understand this very fact. Here’s some important details to note about great content. Great content leaves your readers wanting more. In return, users are more likely to visit your website, share your content and read more pages. The SEO benefits come in your user metrics, more page views per user, more time spent on your website, usually lowers your bounce and exit rates. All of these are important user stats that play roles in search engine optimization. Social media signals are among the top ranking SEO factors for 2015. All of these add SEO value and great content boost user and sharing metrics. Great content can be used as a resource page, a point of reference. This can bring a lot of SEO value also. If your content is being used as a resource page, you’re going to see an increase in referring domains. If it’s niche specific, especially those of you in the educational department, this could lead to some big EDU links. Referring domains are a big SEO value. Great content helps build brand awareness and people will remember. 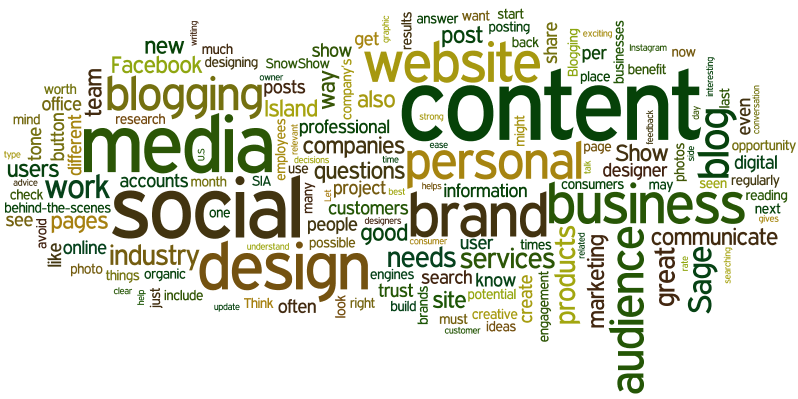 Great content is crucial to your brand identity. It helps build awareness, credibility and trust. Customers know when they are reading B.S. If you’re in a skilled trade, great content will help you become a thought leader in your niche. It will show potential leads your experience and help build confidence. Great content will bring waves of organic traffic to your website. If you don’t know by now, organic traffic is often the highest level of converting traffic. Many people think PPC marketing is but studies suggest otherwise. However, depending on your market, these types can differ. So don’t bite off my head. But you can’t deny the power of organic traffic to your website. SEO is used to bring in your organic traffic. Great content will allow you to rank keywords to bring in that high converting organic traffic. Great content improves your SEO rankings. Writing top tier content gives you the opportunity to have a chance of ranking on the first page of Google and other search engines. You know why great content is still relevant today? It’s because great content is becoming more competitive. Every day that passes, millions of new articles are published. Competition is fierce. If you want to rank on the first page, you need great content. If there’s one thing that I’ve learned over the years, it’s the fact that you need to write for your reader and not for SEO. Kinda contradicts itself I know, but that’s fact. But I’m not referring to using your keywords in the title, URL, first paragraph and everything else you’ve learned to do. I suggest that you concentrate on making your content informative. Here’s some great ways to make great content. Make sure you use sub-titles and sub-headings. This serves a SEO purpose also, but having your content in sections helps the reader. You may have a lot of skim readers looking for main points. Try your best to be accurate with the sections and keeping them relative to each section. Nothing wrong with using bold words, just don’t overdo it. Go into great detail on the subject. This is very important. Did you know that on average, the articles ranking on the first page have well over 2,000 words? This doesn’t mean that you have to write over 2,000 words, but rather it means to go into deep detail about your subject manner. Again, use your sub-headings, sub-titles, bullets. Keep your content clean and professional. Make sure you do it better. More than likely, someone has written what you’re planning to write before. If they haven’t though, jump on it and get a great article published. But if it has been done before, better make sure you write it better. Include points and details that are not included in other articles. Include images, graphs and statistics in your content. Some of the best resource articles that rank on the first page include several images and pictures per article. You can’t go wrong with adding pictures, diagrams and anything else that can give your reader value. I don’t use this technique as much as I should. I’ll be honest with you. However, it’s a great way to add value to your articles. When you can see it visually, it can make a big difference. Use it and use it often. Give your reader the value they deserve for their time. This is big for me personally because I truly enjoy teaching. I’ve only been teaching SEO for a few years. I love helping others and I love the challenge of building success in anything that I do. I take great honor in my content, you should also. I want you to want to put out great content every time. Strive to make your content great. I meet a lot of business owners that put up content just to have something there. I’ve met others writing 5 200 word articles a day. I know some that have hundreds of small articles with no purpose. Before you can ever rank first on Google, or other search engines, you have to give your content the opportunity to rank there. You can do that by writing great content. Let your personality shine. Why this doesn’t have SEO value, your readers will be appreciative and it’s a great way to keep readers coming back. It can lead to referral traffic and leads. It can be hard to let your personality shine in words, but it can be done. And it connects you and your audience on a whole new level, one that can make great content even better. This SEO strategy, you hear it all the time. It’s a SEO strategy many of us use. Who doesn’t use content? But until you use it correctly, you’ll never receive the full benefit and success that great content brings. It honestly takes practice. I’ve wrote thousands of articles in the past decade. I do my best writing now, but it takes practice. Practice makes perfect though. It’s not about the quantity of the content you publish, but the quality. And the quality needs to be at the highest level possible. If you have a lot of old content, you can always go back to make it better. That is one big advantage you have for those of you that have been writing content with limited words. Any of you can refurbish old content to make it better. I hope all of you that read this article understand content more. Great content is a powerful SEO technique when done correctly. And I guarantee, your results will improve. Another year of big changes has passed us by and SEO is still relative traveling into 2015. But what does 2015 have in order for search engine optimization? The SEO platform in 2015 is nothing like it was a few years ago. The landscape has changed and we again find ourselves transitioning to new-age SEO tactics. (My terminology) While some SEO ranking factors have stood the test of time, others have fell off the map. Thanks to trends, case studies and data analysis, it’s possible to forecast SEO moving forward. After careful consideration, running through loads of data and evaluating multiple case studies, we’re prepared to make our Top 10 SEO predictions for 2015. In this article, we’re going to discuss the trends Google is moving toward and what SEO techniques you should focus on, as well as learning that all these predictions are in relation with one another. We’ll also find that SEO in 2015 is a mixture of tactics, techniques, engagement and marketing. How can we not consider social media signals as an important SEO ranking factor going through 2015. How can you discount that 7 of the top 10 SEO ranking factors are related to social media signals. You just can’t. Even if you discard KissMetrics data and analysis by 2-3 of the social ranking factors they included in their report, you still have social media signals at 40-50 percent of the top 10 ranking factors for SEO. We’ve seen in recent years and it’s no secret that social media influence is becoming more of a SEO technique your website can’t go without. 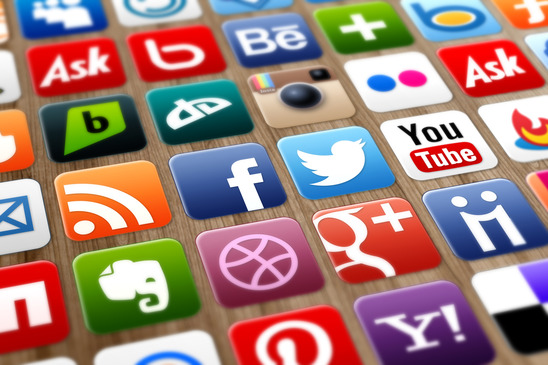 Four social media platforms that count the most toward SEO is Google+, Facebook, Pinterest and Twitter. Likes, followers, shares, engagement, all of these are important. We’re not sure what transition Google+ will take, most people thinks that it will die. If so, it won’t be quick, likely not in 2015. You need to make sure you have a platform set up linking back to your website. Make sure you have social sharing buttons on your website. We continue to see social media growth, so don’t be surprised if other social platforms not listed become more relevant in the near future. I’m a firm believer that content marketing is going to not only be an influence in SEO, but it will become a mid-level SEO ranking factor in due time. And this SEO prediction is in relation with Google’s march to social media metrics. I’m not referring to press releases, I’m referring to high quality content that you can’t help but share. Press releases are dead for SEO and expect no comeback. Not that it can’t be useful, just not for SEO. But you’ll be able to see increased SEO rankings with SEO and SMM. Content marketing is going to be huge in 2015, we’re already seeing the growth and shift. Content is far from dead and Google is going to value high quality content that not only stands the test of time, but it also shared via social media. Since Google is focusing on social media more than ever, there’s no question that content marketing is going to play a role in your keyword rankings and search engine visibility. This is another trend that we’ve been seeing grow for years now. The power of mobile! You have to make sure your website is responsive on all devices. We saw the importance of this very fact in 2014. Mobile capabilities are going to be more important in 2015. Google has given everyone plenty of time to adapt. Mobile usability has to be a focus for all webmasters. We’re already seeing the changes in Google take place. Google Webmaster Tools now has the opportunity to overlook mobile performance. We’ve also noticed mobile icons being shown in Google search results. 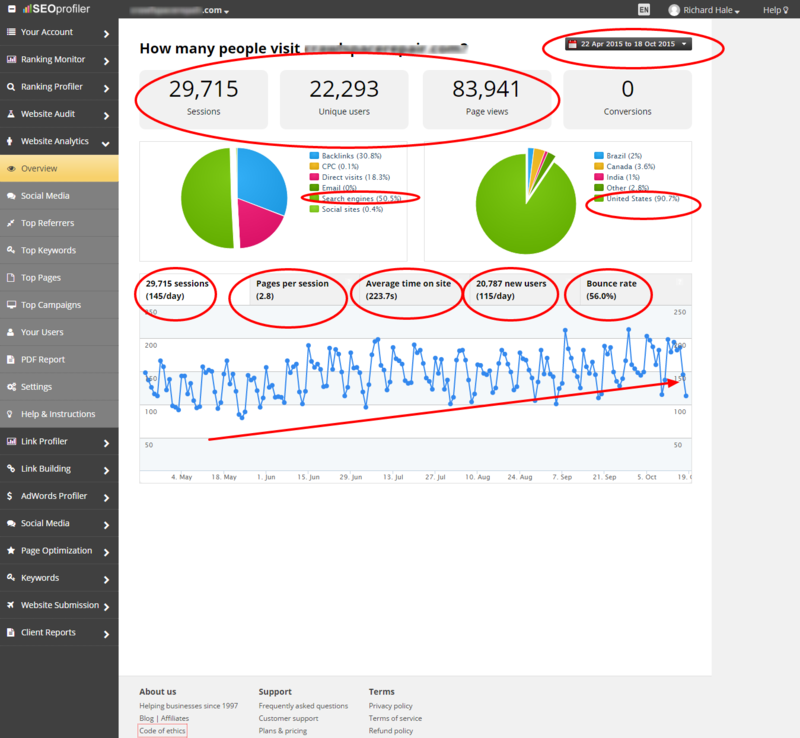 In Google Analytic, you have the opportunity to track mobile data. Desktop is still important, but mobile will rank equally if not more. All websites that have desktop and mobile scripts need to make sure redirects are set appropriately. In 2014, more people were on mobile compared to watching television, just food for thought. One of the main reasons I have always suggested WordPress is for on-site SEO. Not that other content management systems or platforms can’t give you great results, just the fact that WordPress makes SEO easier. With the addition of one SEO plugin from Yoast, you can completely optimize your WordPress website for SEO. On-site SEO has always been important, but will likely be the most valued ever as Google focuses more on users. There’s a lot of different on-site SEO elements that have to be considered. From the content you create to internal links and site structure, there’s a lot of opportunity for SEO success and failure. SEO always starts on-site and you have to make sure you have everything covered if you want to rank against your competition, especially in the top-tier niches. Hold on, hasn’t it always been about the end user? Marketing and sales, absolutely. SEO? Not always. But in 2015, user experience is going to be play more of an important role. Google is perfecting the way they show search results. Sure, it has been a slow ride and Google is not close to perfection, but they are getting there. The time a visitor is on your website is important for a number of reasons, and more than ever, it’s going to be important to ranking high in search engines. Google knows about the websites that buy traffic and links. It may take them awhile to catch you, but no one is completely safe. When a visitor is on your website for a long length of time, it tells Google that the user is finding what it needs, finds the website useful and this is a positive signal for your website. Websites that has high bounce rates and low average site times is not going to rank as high. Google is looking for signals that have less opportunity to be manipulated. This is nothing new, but it’s becoming more important. Brand mentions are going to also play a vital role in SEO for 2015. We know that Google is putting an emphasis on brand mentions more than ever. And again, this is due to the manipulation of links and what is known as “black hat SEO.” Not only will we see branding playing a role in search engine optimization, we are likely seeing the foundation of new-age link building in the same token. There’s even been talk that no-follow links are going to gain strength in 2015. This has yet to be seen and confirmed on our end, but the noise has already started. Self-branding and company branding can pay dividends like never before. It’s important to note that major brands will see the most benefit from these changes in the early going, but others are sure to follow in the near future. Most people can’t begin to realize how much SEO is changing and just how difficult it can be to predict the SEO future. However, Google is always giving us signs and you have to rely on your case studies for support. I get a lot of questions for that very reason, always asking how I know so much. I don’t rely on others, I rely on my SEO case studies and the data/results I’ve seen with my own two eyes. Future SEOs, webmasters, business owners, ALWAYS document your data and record your every move. You’ll soon find what works, what doesn’t and you’ll have a map to follow, although my SEO road map is always changing. Now, what does he mean about building his community? When you add all of Google’s changes up, I strongly feel that engagement, interaction and relationships are going to pave the way of new-age SEO. Future SEO, new-age is my terminology. There’s no way that you can build your legacy alone. Possible, but unlikely. Considering the direction Google is going, connecting with others is the trend we’re seeing. All of this relates to social media. We’ve discussed social media a lot in this article, rightfully so, right? It’s here, social media signals are becoming heavy SEO ranking factors. Not quite there, but that is the trend. This makes social distribution that much more important. The key is always the same, reach as much people as you can. Share it and you’re done. Really? Not so much, engagement and relationships are going to be important. We just can’t share content and hope it’s distributed. You have to put a focus on becoming a leading your niche, become a thought leader. You have to make an effort to connect with your audience. Show your followers and fans that you truly do care, answer any questions that they may have. I always take the time to answer my email questions. Some of them have resulted in hours of free work. Should I mind? Absolutely not. You never know what one relationship can bring by just showing you care. I’ve experienced it first hand. The more of an effort you make, the better the end results will be. So make sure in 2015 that you’re building the engagement and conversations on your platforms. There’s nothing like having software that tracks real-time data. It’s a huge benefit, big market and expensive. 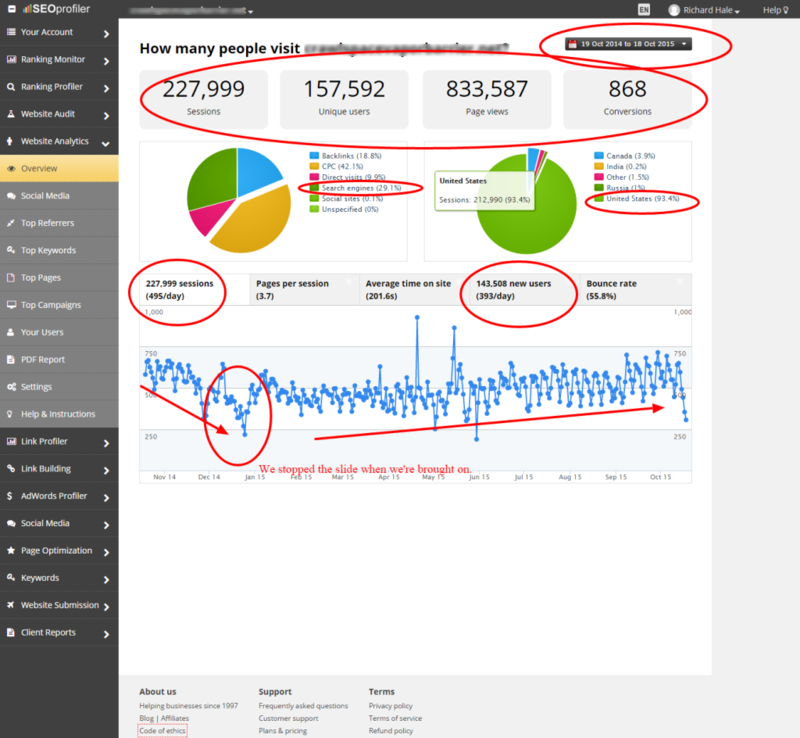 Sure, you can use Google Analytic for a few real-time metrics, but there’s better tools. Plus, the rumor mill is spinning that Google will be removing tools and analytics in the future anyway. We’ll see. Knowing the real-time metrics of your keywords, traffic, links, it gives you a big advantage over the competition. I expect more awesome tools and software to come out in 2015. And real-time isn’t just for SEO anymore, you can optimize your marketing campaigns in real-time also. Remember, most of Google’s recent changes are related. We know the direct that the search engine giant is going. Website speed is a clear ranking factor and many websites followed suit last year with redesigns and second looks at site navigation. Not only do you need a mobile friendly website, you also need to make sure it’s fast. Clean functional websites are the trend as we move away from over-designed websites. There’s a number of tools out there to check your website speed. If you’re going for a theme, test the speed and loading metrics first. Easy-to-use navigation appears to have good solid results and clean layouts often have great speed. 2015 is more about the user than any other previous year. I learned early in my SEO career that SEO is a solution, but not the answer. Search engine optimization is only one solution of the equation. It takes a specialist that knows it all to reap the benefits of high search engine rankings. Content marketing, social media marketing, engagement, email marketing, branding, everything is coming together and is required to rank in competitive niches. My top 10 SEO predictions for 2015 are based on this very fact, you have to be versatile in your efforts in 2015. Don’t be surprised if there’s new terminology to define the hybrid services that business owners will need to rank high in search engines. If your only skills are in SEO, you will likely fail. I was fortunate enough to learn early in my SEO career that it takes much more than SEO to be successful online. High keyword rankings are great, but the bottom line is sales and revenue. You have to be equipped with a full arsenal of skills to survive as a search engine optimization expert in the future.